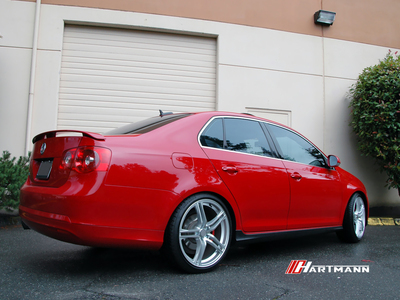 The Hartmann HR8-GS:M replica wheel is a split 5 spoke wheel finished in a Gloss Silver paint, the face of the spokes and lip of the wheel are machined to a bright aluminum finish with a protective clearcoat finish. 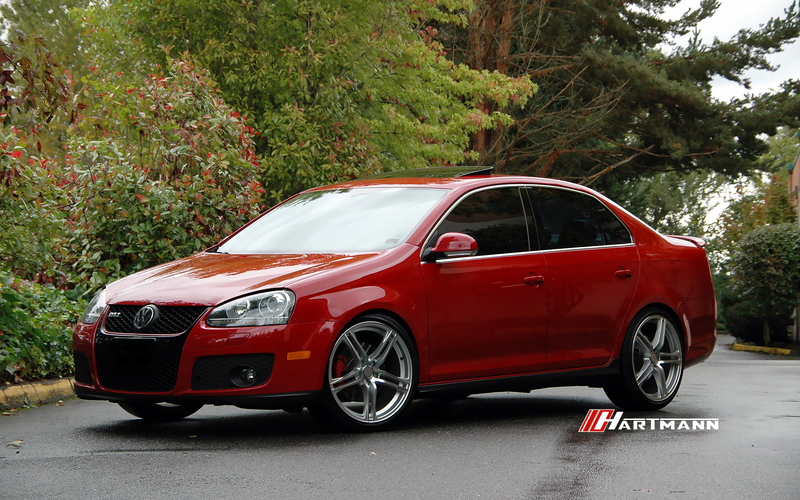 The HR8-GS:M wheel accepts an OEM VW centercap, part #3B7 601 171 XRW. 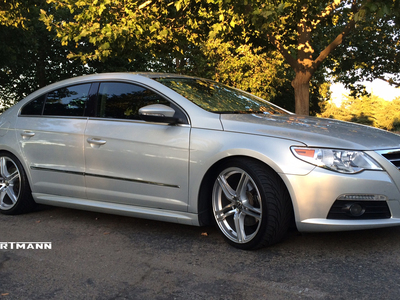 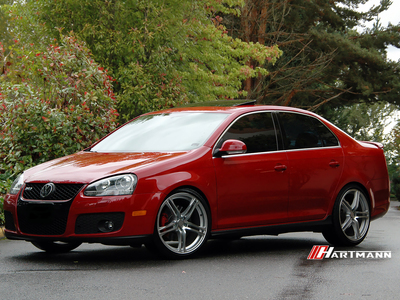 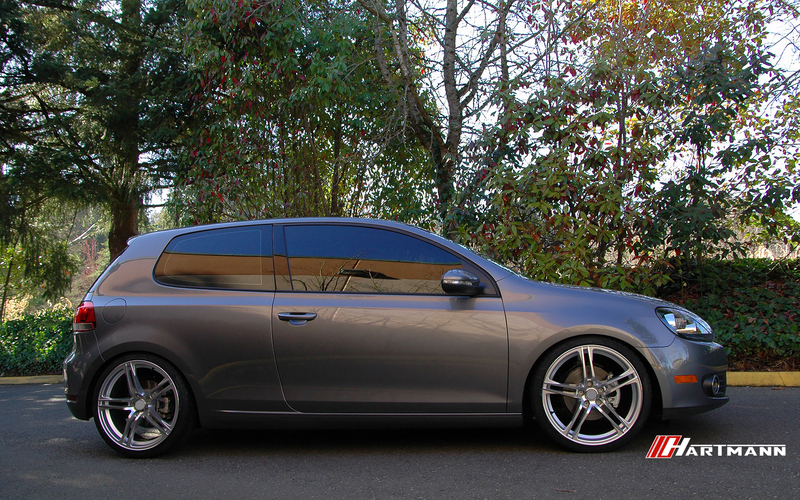 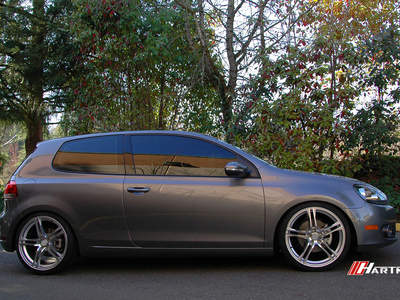 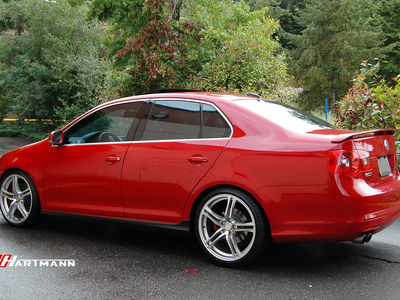 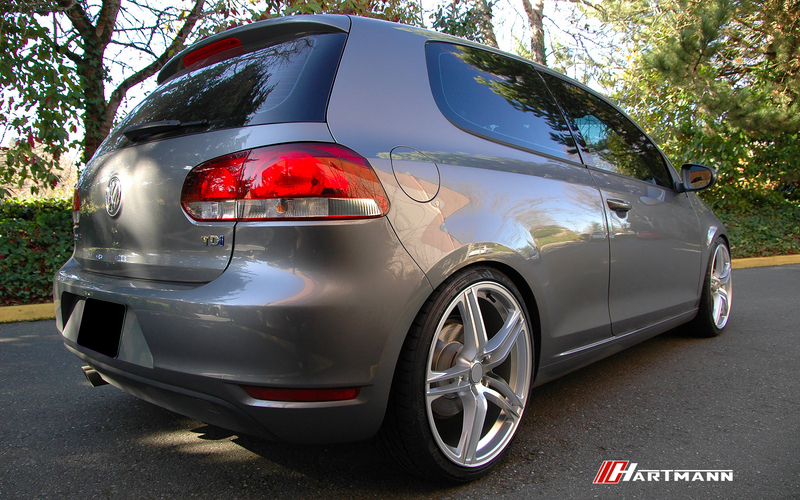 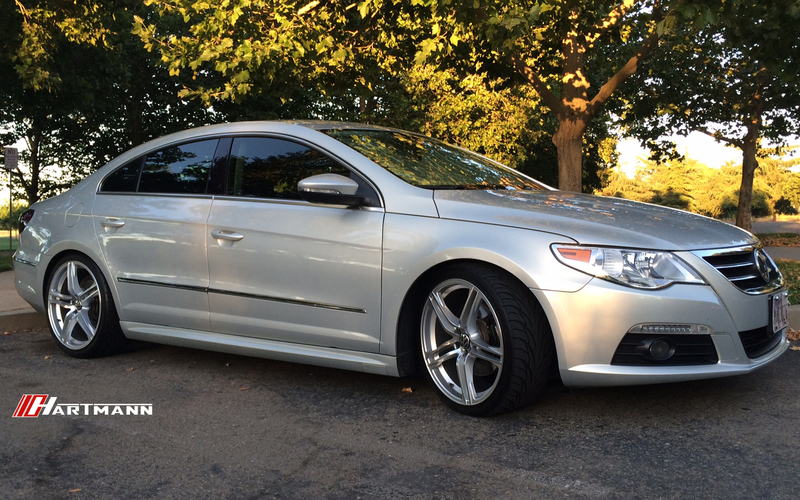 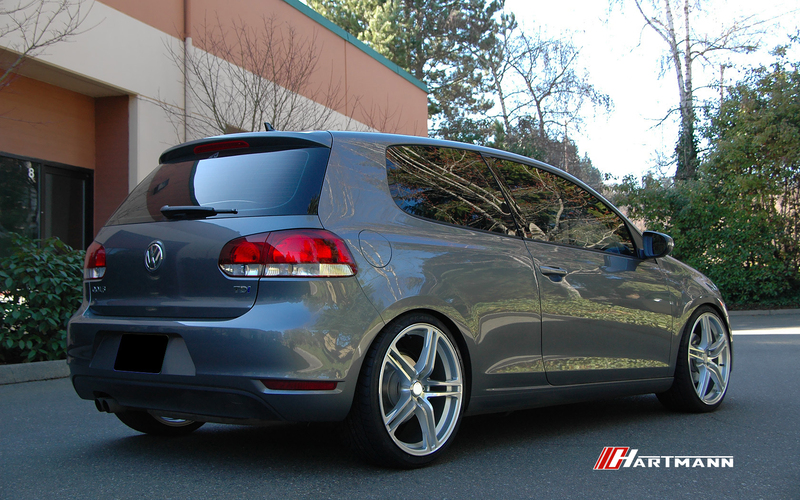 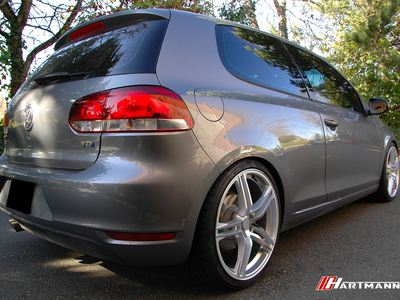 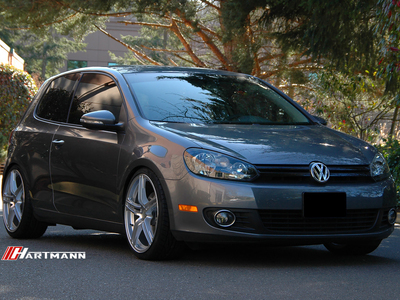 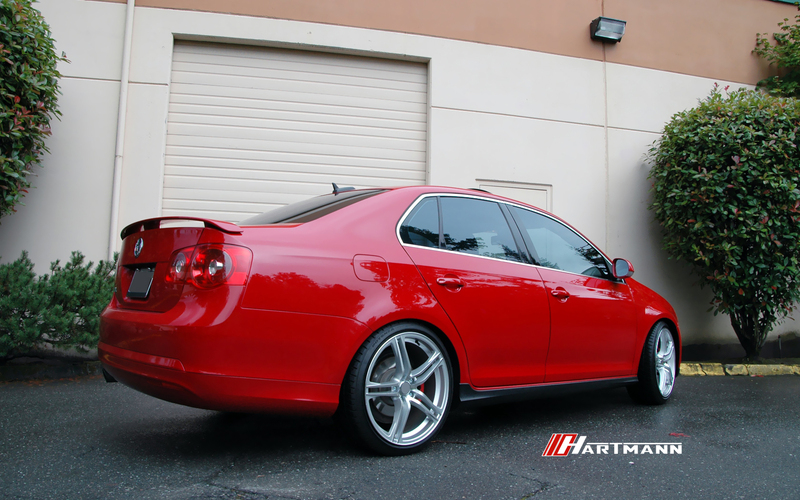 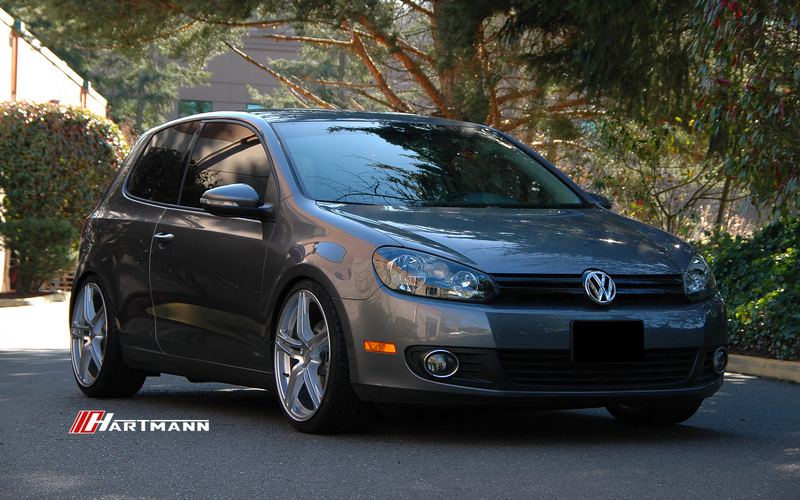 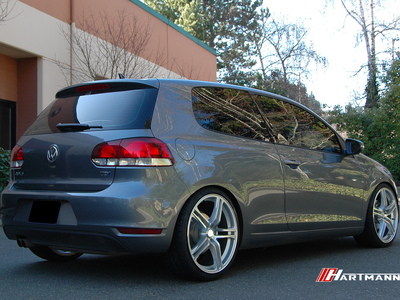 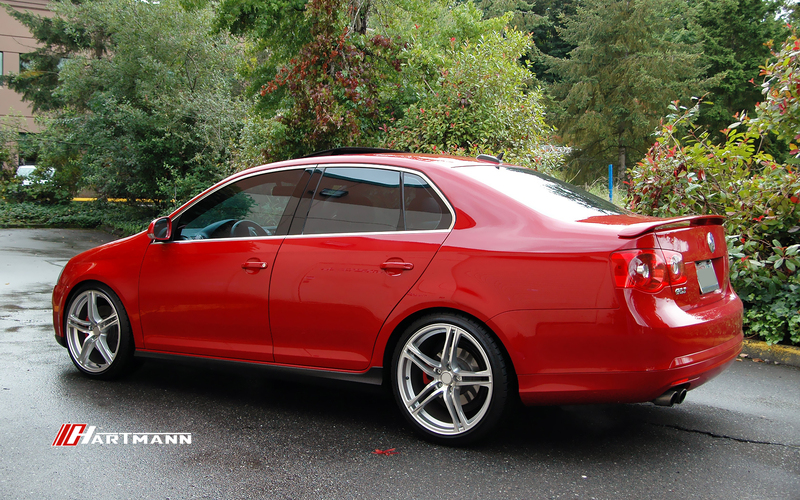 The Hartmann HR8-GS:M replica wheel has a 5×112 bolt pattern (PCD) and uses OEM Volkswagen 14×1.5mm ball seat lug bolts.